Sorry. It’s Rite Aid. Getting that fixed. Hey John. We don’t sell the checks. Go to the offer page, click thru to the company that sells the checks. All the details like count and price will be on their page. We just report the deals and then link to where you can get it. I just checked the links and it’s working. How are you accessing them? google chrome. i was able to view the ads on a different device. do i need to update or download an app? not sure. I need more detail to try and help you out. Which enfamil coupon are you referring to? yes they will! 🙂 you have three items, so you can use three coupons. 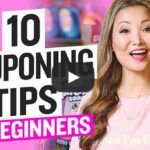 Check out my couponing 101 if you want to have an easy reference for couponing https://www.freestufffinder.com/how-to-coupon/.